Allow your attendees to pay by credit card or paypal from your event ticketing page. Have tickets delivered straight to your attendees inbox, with all the extra information regarding your event. Your attendees will love the simple ticket purchase process with no conversion killing signups. Use your iPhone or android phone to validate tickets with no specialised hardware required. Offer discounted ticket bundles for large groups or families with the convenience of one purchase. 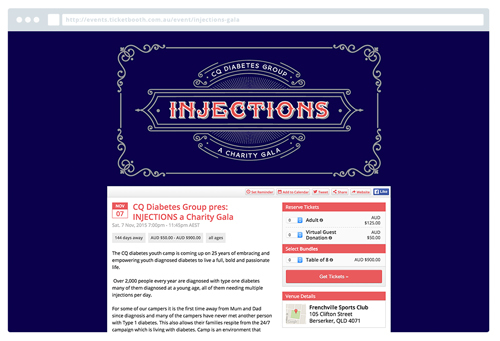 Accept donations alongside your ticket sales to help drive your fundraising efforts further than ever before. Have a Facebook Page? Embed Ticketbooth right into your page to allow fans to purchase without redirecting to a third party site. Make changes to your listings instantly. Need to contact your attendees? Ticketbooth makes it easy to stay in touch with your attendees with a full email blast system that let’s you send promotional emails and event updates with just a few clicks. Secure, simple to use ticketing. The Ticketbooth platform remains simple for buyers yet flexible enough to ensure that you can get back to organising your event. 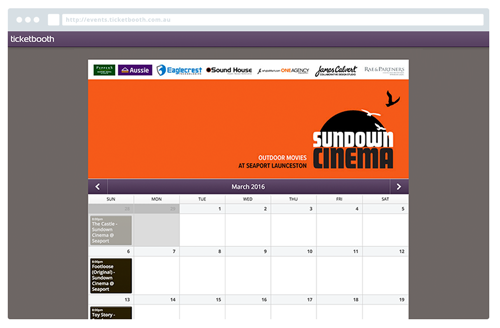 Display all your upcoming screenings with an easy to view calendar or list view for mobile devices. Have reserved seating for your screenings? 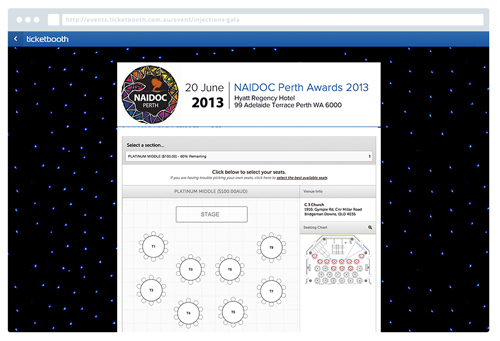 Allow customers to pick their own seat and have it output onto their ticket for theatre staff.